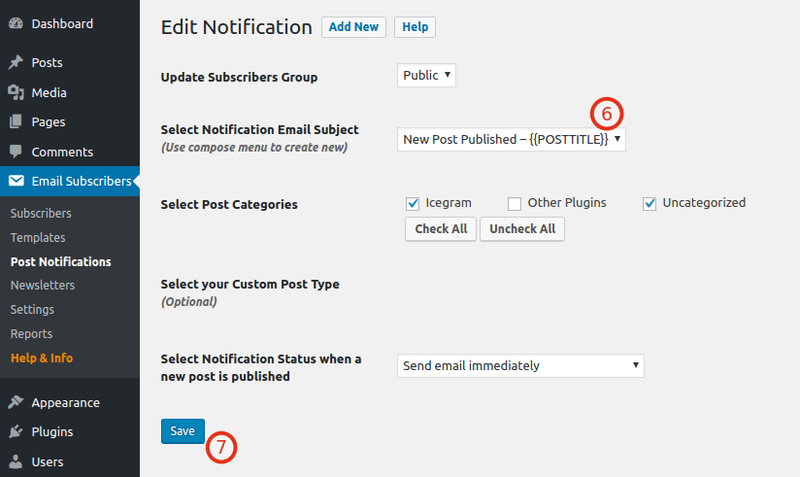 Using Email Subscribers, you can send post notification emails to your subscribers when new blogs posts are published. This automation not only saves tons of your time but also makes the entire process stress free and simple. This is a simple configuration. Once you’ve activated Email Subscribers, the plugin automatically creates one default notification for the existing blog categories. You can either edit the defaults or create a new notification as per your need. Note: If you are using Email Subscribers version lower than 3.4.0, then check this article – How to Configure and Send Post Notification Emails to subscribers when new posts are published instead of below. Step 2 : Then navigate to Email Subscribers > Campaigns and click on “Create Post Notification”. Step 4 :Click on Save. Step 4 : Click on Publish. Step 7 : Click on Save. Step 5 : Create a new notification. 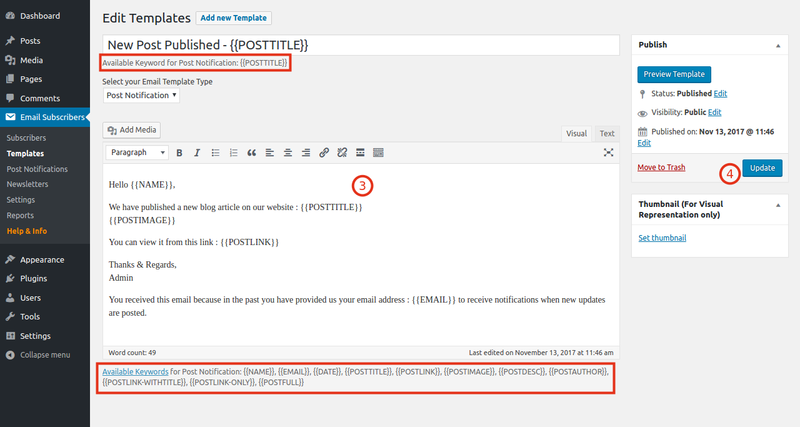 Select the above created Post Notification Email Template & blog category you want the email to be sent for. Step 6 : Click on Save. Now whenever a new blog is published on your website (and if that blog post category is checked under notification), your subscribers will be notified about it.